As a brand, your customers are everything. But that’s not really something new, is it? But despite this, far too many brands act like they aren’t. Rather than focusing on building customer relationships, they focus on acquiring more and more customers. And once they are acquired, they are neglected and forgotten. 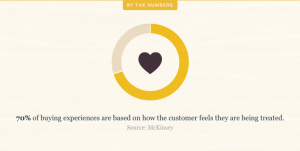 Building customer relationships is crucial for customer retention and loyalty, and the statistics also speak very clearly about this, too. Because the fact of the matter is that loyal customers are worth up to 10x more as their first purchase. Moreover, the probability of selling to an existing customer is 60-70%, whereas the probability of selling to a new prospect is only 5-20%. As a brand, your end goal is always to drive sales. But in order to drive more sales, you need to reverse-engineer the process of a sale and understand what truly drives sales. When you do that, quite quickly, you realize that the single most important thing to driving sales is trust. And that’s not very surprising if you think about it, because if your audience doesn’t trust you, they won’t buy from you. End of story. In order to build trust, you need to focus on building customer relationships. And when you build customer relationships, you’ll get all the benefits that come with it, which also includes loyalty and engagement. The good news is that social media is a tremendous tool for building customer relationships. 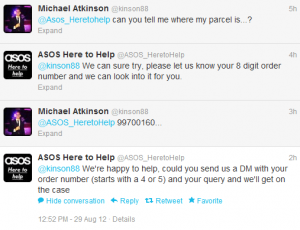 In this article, we’ll, therefore, be looking at how you can build customer relationships with social media. In order to build customer relationships with social media, as well as any other place, you need to give more than you take. And this doesn’t just apply to building customer relationships, but it applies to all aspects of life. A relationship where one person gives 90% of the relationship and the other just takes and takes will seldom last long. And if it does, it will be a very unhealthy one, as one person will feel like they’re being taken advantage of. As a brand, this comes down to providing your audience with value. If you provide endless of value, you give your audience a reason to come to you, and you give them a reason to engage with you. If all you do is shove ads in your audience’s face, there’s no real reason for them to engage with you, as they aren’t getting anything from it. 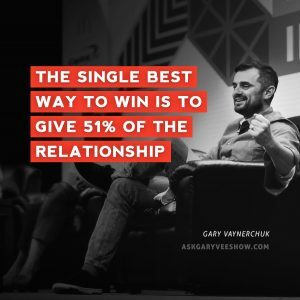 This rule is also known as the 51/49 rule, and Entrepreneur Gary Vaynerchuk is a huge preacher of the importance of this rule. To do this, you need to ask yourself in what ways you can bring your audience value. Don’t ask ”how can I benefit from this?”, but rather, ask ”how can I make someone benefit from me?”. Far too many brands think that the way you drive marketing results is by shoving as much promotional content in people’s face as possible, but that is until and if they realize that social media is a relationship tool in first hand, not a promotional tool and that people actually don’t want to see ads on social media. The importance of providing value means that you need to start sharing content which your audience wants to see, not content that you want to show them just because it grants you marketing benefits. To identify what your audience finds interesting, a great method is to simply ask your audience. Another method is to conduct social listening and listen to what your audience is talking about. If you focus on providing value, marketing benefits will follow. Because when you provide someone with so much value, they’ll get reciprocal, which means they’ll feel guilty saying no if you ask them for a favor, plus, you won’t have to be ashamed of asking them, because you will have done so much for them already. Having a large audience on social media may mean that you risk losing that personal connection with your audience. And when focusing on building relationships, personal connection and genuine interaction are crucial parts. Social media gives you the opportunity to engage with your audience all at once, but in building relationships, you want to take a deeper approach and talk to each and every individual separately. When you talk to someone one-on-one, they’ll feel seen and appreciated, and it will thus become easier for them to resonate with you, and start trusting you. Of course, talking to each individual one-on-one when you have a giant audience can be a little tricky, but that is not to say that you shouldn’t do it, though. Having a small audience just means that you probably are able to talk to each and everyone rather than just a small part of your audience. In fact, no matter how large your audience is, part of your customer engagement should be focused on one-on-one interactions, because when the conversations are one-on-one, they become much more genuine and authentic. Additionally, if people see you’re sending a message to a large group of people, they won’t value it, because they’ll just see it as spam. However, if the message is sent only to them, you dramatially increase the chances of them responding and carefully consuming it. 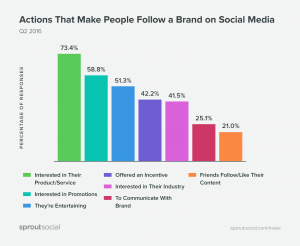 A great way to build customer relationships with social media, or more so, a crucial part of that, is by spotlighting your customers and putting them at the center of the conversation. And you should do this in order to show your audience that you value them, and that you appreciate them, their trust, and their support. It’s no news that when we feel appreciated, we tend to stay, and so that’s exactly what you want to do. When looking to build customer relationships with social media, another goal of yours should be to build a community. 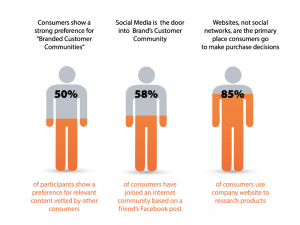 A community on social media will get your audience engaged in your brand and industry. Building customer relationships with social media can be done simultaneously as you’re building your brand’s own community on social media as well. A social media community can have many shapes and can take place on many different places, but what it is in its purest form is a place where your audience can gather to discuss, interact, and talk about your brand and topics related to your industry. Since building a community leads to loyalty, from there, it’s not very far for you nor your audience to start building relationships with each other. Additionally, don’t forget that, in a community, you yourself take part in the conversation and answer questions whenever needed. Doing this will give you more opportunities in engaging and interacting with your audience, and therefore to build customer relationships with social media. Plus, when you have your own community, you establish yourself as an authority in your industry and a go-to place when people have questions related to your industry and niche. Building customer relationships is essentially about engaging and interacting with your audience as much as possible, because the more you interact with them, the better they’ll know you. This is why building a community is a great idea, because it gives you yet another channel to engage with your audience. Social media is a quickly evolving place, where information is transferred to the other side of the world in less than a second. This is why you need to provide fast responses to your customers because if they reach out to you on social media, they expect you to respond quickly. It’s not like email where everyone expects to get a response the earliest within 24 hours, or phone line when you have to site countless of hours just to talk to someone. 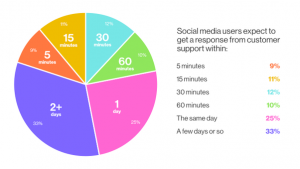 More and more people turn to social media for customer service and to find answers to their questions, and they expect to get so quite quickly. 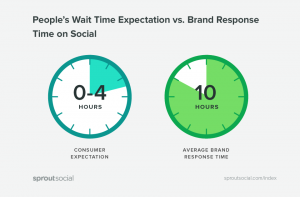 In fact, another study found that customers expect a response from brands within four hours, but unfortunately, though, most companies average a 10 hour response time. If you want to build customer relationships using social media, you need to take every single opportunity you can get to engage with your audience, and in many cases, that might mean to respond quickly. Not only will you provide better customer experiences and show that you value them and your message, but a study also found that customers spend almost $20 more with an airline that responds to customer Tweets in less than six minutes. Just goes to show the importance of fast responses. 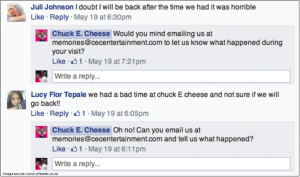 In the worst case, if you don’t respond in a timely manner to your messages on social media, your customers might get mad and leave you forever. Additionally, they might even go to your competitors and never look back. 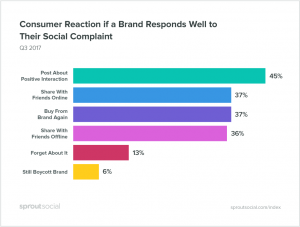 What’s even more staggering is that a study found that Companies who engaged with customer service requests on social saw a 20-40% increase in revenue per customer. And that might not be very surprising, but the fact of the matter is that many customer service messages go completely unanswered. In other words, if you’re not responding to your customer service messages quickly, or even in a timely manner, you’re not only missing out on incredible opportunities to build customer relationships on social media, but you’re also literally leaving money on the table. Of course, a crucial part of building strong customer relationships, whether it be on social media or in real life, is getting to know the person. This also includes understanding what their preferences are on social media, so ultimately, you can provide that for them, and make them feel more appreciated. For instance, if you know that a customer’s favorite social media platform is Facebook, then ideally, you should be reaching out to them through Facebook. This point almost goes hand in hand with the previous point, but personalizing the customer service and interaction experience is a crucial part of making your customers loyal fans of your brand. 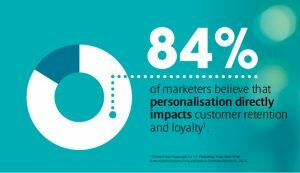 That personalization is effective in marketing is probably no big news for you. Personalizing the conversation makes it more relevant for the customer, and thus makes the customer feel much more engaged to continue it. When a conversation is personalized, you have shown that you have listened to what they have said, and worked hard to be able to provide a much more personal experience. The best part of personalized interactions is that it makes it seem like you have known each other forever. When you talk about all of their personal things, the things they’re passionate about and use a similar voice and tone as them, it obviously becomes much easier to resonate with you, and therefore also to build a relationship with you. There are a million possibilities in personalizing the customer interaction to become more targeted and relevant to them. The first step is to look at their social media page. It’s no news that many people essentially share their whole lives on social media, such as what they do, what they hate, what they like, what they eat, and much more, and therefore, as a brand, this information is a gold mine if you want to personalise your customer interaction experience and make your audience resonate better with you. But remember that you shouldn’t just personalize and tailor the customer interaction experience in one direction though. You also want to make it more personal from your end, which includes simple things as ending the message with your name, maybe even including an image, addressing your audience by their first name, as well as show behind the scenes content of your team so that your audience can resonate better with your brand. A part of becoming more memorable and someone people can resonate with, is also to establish a brand voice, but more on that later. Essentially, you want to use every single piece of information you can find about them on social media, and then leverage that information when interacting with them in order to provide a much deeper and personal conversation. Do that and you’ll notice how much more you’ll be building conversations, and how much stronger they’ll become. 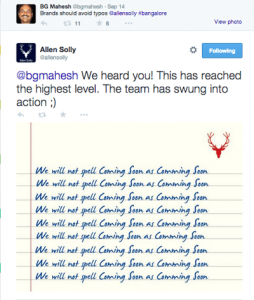 This is a huge thing that most brands do on social media. Or at least something they’re missing out on. And sure, the process is time-consuming, however, it’s tremendously valuable and effective in building customer relationships. Well, far too many brands and businesses just sit on social media, waiting for people to approach them. They always wait for someone else to take initiative. They never take initiative themselves. But remember that social media is an incredible relationship and engagement tool which has several billion users, and so, if you would only take the time to go out and look for your target audience, and then take the first step of interacting with them, you’d see far more relationships being built. Moreover, it doesn’t have to be new customers, either. You can, for example, reach out to your most loyal customers and your lest loyal customers just to see how they’re doing. Ask them how you can help them, and try to find out in which ways you can bring them value. 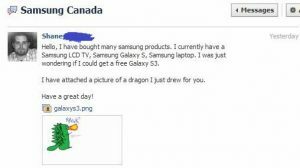 Being the one who takes initiative when it comes to customer interactions on social media is crucial for several reasons. First off, doing so will greatly increase the number of relationship-building interactions you have daily. Secondly, by taking the first step, you show that you think about your customer and that you value them. These are two greatly important things which ultimately will lead to a greater customer loyalty, and stronger relationships. I’ve already spoken briefly about this point when talking about personalizing the experience, but being human is slightly different. Being human is everything in building strong relationships. And really, that’s not a huge surprise, because humans relate and resonate with other people. They build relationships with other people. 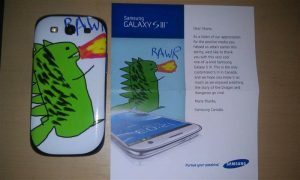 Not a faceless brand with a fancy logo, right? Since relationships are based on the relationship between two individuals, what you want to do is establish a personality for your brand so that the brand itself feel like a person with a personality, that of course, aligns with all of your other business goals. Don’t try to hide behind your brand, because if you do, it will just show that you have something to hide, and maybe even that you aren’t proud of the products you’re selling. If you end the message with your name, and address them by theirs, as mentioned earlier, you’ll make it much easier for people to build a strong relationship with you. A huge part of being and becoming human is being transparent and authentic. It’s hard to deny that. But whether or not you make mistakes is not what is relevant. It is how you take those mistakes, and how you handle them. Far too many brands are terrified of making any mistakes as they’re afraid that their customers will judge them, and see them unprofessional and what not. But the truth is, it’s ok to make mistakes, as long as you don’t try to hide them, and that you actually admit them. Admitting that you’ve made a mistake might even gain your business, but most importantly, it will humanize your brand, and allow you to build deeper relationships with your audience, as it helps humanize your brand. Never try to sweep your mistakes under the carpet, because on social media, the mistakes are open for the world to see, and chances are, people have already seen it. What matters then is how you eat up that mistake. The most important part of becoming human is developing and establishing a brand voice and tone, and that’s what we’ll dig into in the next point. To build customer relationships with social media you need to have a brand voice. And I am not talking about the robot-like ”Thank you for your message, one of our representatives will get back to you within 100 hours” personality, but a real personality with true human characteristics. Remember that people resonate with other people, not robots or boring personalities which really have no personality. This is why, in order to build customer relationships with social media, you need to develop a brand voice and personality first. First off, by developing a brand voice, you make yourself distinguishable from the crowd and are able to stand out from the crowd. People are instantly able to recall and remember a certain personality, and when they meet you again, they’ll be greeted with the same personality they met the last time. According to Harvard Business Review. 64% of people who have a relationship with a brand cite shared values as the primary reason for it. And to have values, you first need to have a personality. Before you develop your brand voice and tone, you first need to look at your brand’s mission and objectives, as well as look at its culture. This way, you can identify a voice which suits your brand, will resonate with your audience, and ultimately make you more memorable. In developing your brand voice, it’s crucial that you define it and make everyone onboard with it. Otherwise, you might end up with a mishmash of personalities, depending on which team-member your customers are talking with. 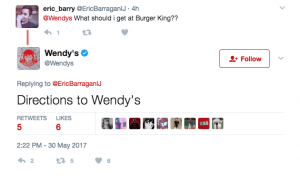 Social media is an incredible place for brands to showcase their brand’s personality, and humanize it, and more brands need to take advantage of it. This means that a lot of the conversations have moved from real-life to now taking place on social media. This includes conversations that are both negative and positive about your brand. Believe it or not, but people talk about brand experiences on social media, and this includes your brand, too. This means that if you take the time to listen, you’ll be able to gain access to quite valuable information. Through the act of social listening, you’ll be able to extract key information from your audience, but most importantly, you are able to make your customers feel seen and heard, which is the first step to building a relationship with them. No matter if people have left negative or positive reviews, identify them, and respond to them appropriately. Remember that on social media, you want to take every opportunity you can to interact with your audience, and this also includes negative and positive feedback. When you respond to the complaints or praises, you show that you care about them and that you value their opinions and thoughts. After all, it is through the feedback -both negative and positive, from the people who use your products out in the field that helps you evolve as a brand and constantly improve. There are a million different content opportunities on social media. But did you also know that to build customer relationships with social media, the content you put out has a huge impact on that, and some types of content support that goal better or less well. Not only should you vary your content types because of risk that your audience getting tired, but most importantly, you want to vary content types to engage your audience in different ways, get them engaged, and ultimately lead to relationships. When it comes to building customer relationships, there are a few types of content which are incredibly effective, as they help bring you closer to your audience and make you much more approachable. One of those content types is live streams. Through live-streaming, you can engage and interact with your audience right on the spot, in real-time, and you are able to humanize your brand and the team in a completely different manner. Moreover, live Q&As allow you to interact with your audience in real time, and ultimately, encourage customer engagement in a completely different way compared to a regular post. When people can ask questions in real time, it becomes much more interesting, because they can see how you react, and they can have you personally respond through talking to them. To humanize your brand, make it more approachable, and ultimately build more customer relationships, sharing behind-the-scenes content of your team, your factory, your office, and so on, will allow your audience to resonate with you in a completely different way. And by doing so, you make yourself much more approachable, which will lead to more customers reaching out to you, and thereby also give you more opportunities to build more, stronger, and deeper relationships with your audience. To build customer relationships, you want to focus on providing engaging content that gets your audience interested and engaged. This is great news because if you want more engaged and loyal customers, all you supply need to do is reward and show appreciation to the ones you have. Now, one way is to highlight them, which I mentioned earlier, but another way is to reward them with physical or non-physical products. If you want to make it more than a one-time thing, it’s also a good idea to create some kind of campaign such as ”loyal customer of the week”, ”most engaged customer of the day”, and so on. Everyone loves to receive free things, and by giving away things your audience might want if they engage with you, much more people will engage with you, and do so on a regular basis. And what this does is it gives you the opportunity to meet them, talk to them, and continue building your relationship. People love to feel appreciated and seen, and whether you use the tactic of highlighting your customers, as mentioned above, or you value them with gifts, the idea remains the same. 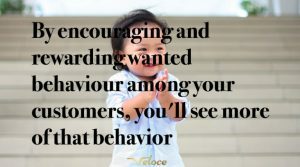 And if you reward your customers when they do something, they’ll feel appreciated, which translates to them feeling well-treated by your brand. Going above and beyond also most of the time fall into the category of providing value. The more you give your audience, the more guilty they’ll feel to give back. Remember that every other brand is trying to build customer relationships with social media, and therefore, you need to make sure that you stand out from the crowd. The only way to do so is by going above and beyond. When you go above and beyond, not only will your customers have your brand on top of mind, and most likely not forget about you, but they’ll also most likely tell their friends, and share their experience on social media, too. Now, you may not be able to do huge gestures that some of the largest brands have done, but just showing that you try harder and that you put time and energy into it is definitely worth a whole lot. That itself will often lead to great customer loyalty. Relationships between humans have existed as long as humans have existed. And relationships have a huge impact on how we treat people, how we view them, and what we are prepared to do for them. Humans trust people they have a strong relationship much more than strangers, and they also tend to do much more for the people than they would for people they don’t know. The best part is that this is a principle that brands can take advantage of by building relationships with their customers. When you realize that social media is a relationship tool and not a promotional tool, that’s also when you realize that you can use social media to do great things, the most important one being build relationships with your customers.